On 25-26 June Indian Prime Minister Narendra Modi travelled to Washington and officially met US President Donald Trump in the White House. Ever since Modi took office in 2014, it has been his fifth visit to the United States and one of the most important ones so far. The bilateral relations between India and the USA have become stronger and stronger in recent years as both great powers are interested in maintaining the Asia-Pacific status quo and counterbalancing China’s rise. After Trump’s election as president, however, the priorities of America’s Asia Policy have been questioned. Therefore, it has become especially important for India to consolidate the partnership of the two countries. Most analysts have expected no significant practical results from the meeting; nevertheless, numerous considerable declarations and agreements have been born, which proves the victory of the Indian diplomacy. During the Obama years the cooperation between the two countries gradually improved. As one of the key elements in this process, the USA qualified India as “its main defence partner” in 2016 and then it agreed on the selling of modern military technology. Undoubtedly, Modi’s active foreign policy also favoured the consolidation of the US relations, although the country still rejected to commit itself towards establishing a relation of alliance. The narrative of the world’s largest democracy and atom power pursuing a responsible policy did not mean a lot to Trump; therefore, in early 2017 the relationship of the two countries became uncertain. The withdrawal from the TPP and the changing US policy against Iran forewarned the Indian leadership as they supposed that Trump’s unpredictable foreign policy might as well result in the reduction of the India-US relations, and this would mean a serious political defeat to Modi. During their term of office, Trump and Modi have talked to each other over the phone three times, but no personal meeting has taken place up to present. Therefore, the Indian Prime Minister paid a visit to Washington with the aim of proving India’s global importance to the new US Administration and building appropriate personal relations with the President. While the two countries take the same position in numerous political issues, in the meantime disputed issues have also arisen. India negatively received Trump’s announcement made on 1 June 2017 on the US’s withdrawal from the Paris Climate Agreement, and later Trump charged India of demanding several billion dollars by virtue of fulfilment of its obligations. The Indian general public also received Trump’s executive order in April incomprehensively, which gave effect to fundamental changes – severe restrictions for India – with respect to the H1-B visa, i.e. the entry authorisation of highly-qualified foreign labour force recruited by the US. Furthermore, the US trade deficit of 24.4 billion dollars with India has also become the target point of Trump’s internal promises, which might be pregnant with negative consequences for India in the future, too. Besides the statements made at the press conference and the joint declaration released about the negotiations, body language also reveals a lot about Trump and Modi’s personal relationship: Modi avoided shaking hands with the President but offered a hug, which he repeated later, indicating the real importance of Trump and the USA for the Indian Government. According to certain analysts, the fact that Trump has already been in office for 5 months and during this time he has already negotiated with the leaders of all the powers decisive for the USA shows that India is not as important to Washington as Modi wants it to be. However, it is a false conclusion since the Indian Prime Minister deliberately opted for the tactic of wait and see in order to gain time and choose the perfect time to continue the personal negotiations with the US President. Ultimately, the final outcome of the two-day discussions justified Modi. Beforehand, experts anticipated no great results or high-sounding announcements but rather the two parties were expected to get acquainted with each other. Finally, Trump managed to prove his appreciation to India: Modi was the first foreign leader to receive an invitation to the ceremonial dinner held in the White House in his honour. Basically, Modi and Trump’s meeting can be deemed as successful since they managed to found the friendly relationship of the two leaders and consolidate the cooperation between their countries, and with regard to this significant decisions were passed, which in the long term can provide a good basis for the development of the US-India relations. As President Trump puts it, the relationship of the USA with India “has never been better”. The greatest victory for India was to gain the US’s support for the annihilation of terrorism. Not only do the two countries aim to develop close cooperation in the fields of intelligence sharing, coordinate the counter-terrorism operations and map the financial background of terrorist troops but the USA also severely judged Pakistan for supporting terrorism. Before the meeting the US leadership qualified the leader of the Hizbul Mujahideen Kashmiri militant group, Syed Salahuddin as a Specially Designated Global Terrorist. Salahuddin, who enjoys Pakistan’s support, is considered one of the greatest enemies of India after threatening to turn Kashmir into a graveyard for the Indian military force. The Americans also accepted the joint action against organisations such as Lashkar-e-Taiba and Jaish-e-Mohammed. The joint declaration mentions Pakistan two times: first, when it states it cannot just watch by doing nothing how terrorist attacks are launched from its territory against another country, and second, when it says the Pakistani people committing explosions against Mumbai, Pathankot and other target points should be brought to trial. Apparently, the USA seems to have stood on the side of India in its dispute against Pakistan. However, Washington cannot afford to deteriorate its relations with the Islamabad because of its own interests as it needs Pakistan to counterbalance China’s influence and enforce its Afghanistan and Iran Policy. Therefore, the practical realisation of the above mentioned seems to be at issue. When taking their position on terrorism, the politicians also touched upon Afghanistan. The parties mutually acknowledged the efficiency of each other’s Afghanistan policy and held out the prospect of joint action and the improvement of cooperation. It is a positive point for India that it has managed to come to a common agreement with the USA in regional issues. Both parties have acknowledged that the connectivity of the region needs improvement; however, is should be implemented through transparent infrastructure investments, with responsible debt management and in accordance with the legal provisions. Undoubtedly, they refer to China’s New Silk Road Initiative, which India received with disapproval – partly owing to the China-Pakistan Economic Corridor – and the USA managed with aloofness. 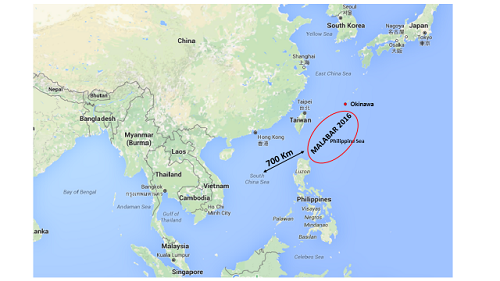 The joint declaration also has references to China’s South China Sea Policy, although without specifying an actual location and only mentioning the maintenance of free navigation, overflight and trade. The parties also stood up for the amiable settlement of territorial disputes and the observation of international law. India and the USA’s joint position against China’s growing regional influence is undoubtable, although there are still several open questions concerning its practical counterbalancing. As for the global and regional issues, the question of North Korea also came up during the negotiations; Trump expressed his thanks to Modi for India’s joining the new sanctions against Pyongyang. In early May India suspended its trading relations with North Korea, which is significant because this South Asian country is one of the key trading partners of Pyongyang. As a definite success after India’s reserved reactions, Trump now has managed to gain the support of the Modi Government for the reproving declaration. According to the US Government, India has the same rights as the US’s allies in the field of military acquisition, having been its “major defence partner” since 2016. India has a key stabilising role in South Asia; therefore, it is the US’s essential role to extend the strategic partnership. However, the Indian Government still does not intend to achieve an ally status; therefore, the relations are unlikely to improve in this direction. Nevertheless, the development of the defence relations between the two countries is proven by several actual agreements. According to the joint declaration, India purchases 22 Guardian type drones from the USA; however, under the Make in India Program the production of F16 fighters in India has also come up, thanks to the cooperation of Lockheed Martin and Tata. The parties also expressed their intention to strengthen safety at sea and announced the introduction of the white shipping information sharing system. Furthermore, the forthcoming Operation Malabar offers an excellent opportunity for the consolidation of the naval cooperation. While India supported the US joining to the Indian Ocean Naval Symposium (IONS) as an observer, in return Washington also stood up for the realisation of India’s stronger presence in the international organisations (e.g. permanent membership in the UN Security Council). A considerable part of the negotiations aimed to improve the economic relations between the two countries and reconcile Modi and Trump’s economic political ideas. In order to decrease the trade deficit of the USA, both leaders approved the necessity of lifting the trade restrictions and took a stand on the reassessment of trade relations and the establishment of free and fair trade. As a response to Trump’s job creation endeavours, Modi highlighted that the Indian investments of 15 billion dollars have contributed to the creation of jobs in 35 states of the USA up to present. Also, the US President is glad to hear that the Indian Spice Jet has announced the purchasing of 100 US aircraft recently. In the energy sector the American export is expected to rise since the USA primarily aims to support the Indian economic growth through the increased export of gas and renewable energy resources. The issue of global energy security and cybersecurity was also discussed at the meeting. At present it has every chance of developing the economic relations of the two countries, which has been proven by the negotiations and the good personal relationship between the two leaders. Modi invited President Trump, Vice-President Mike Pence and the Cabinet Members of the United States to visit India, while an agreement was also concluded that Trump’s daughter Ivanka would also travel to India leading the delegation of US investors in the second half of this year. Considering the uncertainties of the US-India relations in the first half of 2017, the Modi-Trump meeting can obviously be deemed as successful. The USA-India partnership obtained confirmation, and a harmonic and promising personal relationship was established between the two politicians. In a certain aspect both parties can be satisfied with the results, although the victory of the Indian diplomacy is more spectacular (Pakistan, terrorism, China). Besides the foreign political interests of the country, Modi herewith adjusted the perspectives of economic development with the US’s expectations, assuming a considerable internal risk as the open commitment towards the United States could hardly be fully successful in India. A big question is, however, how the statements laid down in the joint declaration can be put into practice. Aside from the economic agreements that imply the greatest opportunity for the improvement of the partnership between the two countries, we can expect no considerable progress in plenty of issues, although consent is perfect at the rhetoric level (e.g. the isolation of Pakistan). We should not forget either that the US-India relations still have the neuralgic points about which the parties have not even discussed during their meetings in Washington. Neither party intended to raise the struggle against the climate change or the issue of H1-B visa, so the findings of the meeting should be handled with careful consideration. At the annual meeting of the Shangri-La Dialogue organised in Singapore between 2 and 4 June 2017, US Defence Secretary James Mattis highlighted that India was an important strategic partner to the USA. SAJJANHAR: India-US Relations. The more and more aggressive presence of the Indian army in the Kashmiri region under its control raises severe issues against Modi’s Kashmir Policy. 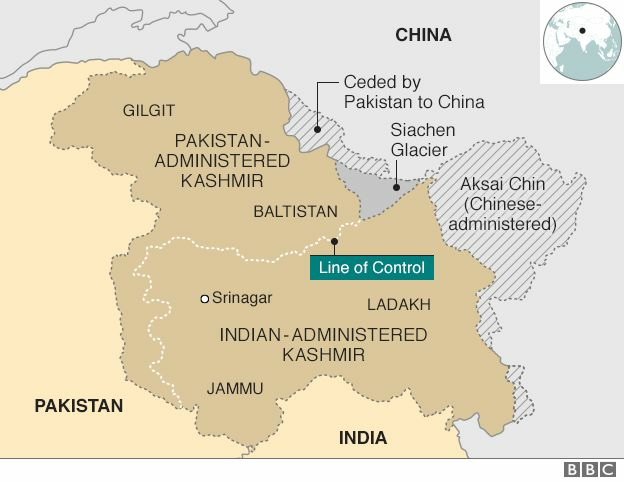 India’s greatest issue is that most part of the Chinese project would be realised in the territory of Kashmir demanded by India but being under Pakistani control. The white shipping information network protocol allows for the exchange of information about the movement of ships close to the coast in the two countries. Malabar is a joint US-Indian military operation that has been organised every year since 1992 and Japan has been a permanent participant since 2015.